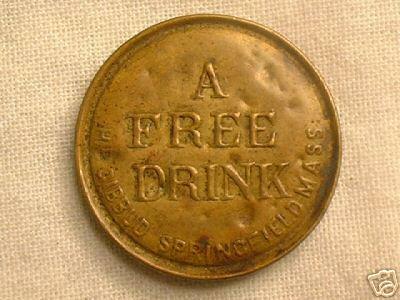 A / FREE / DRINK / H.B. GIBBUD SPRINGFIELD MASS. 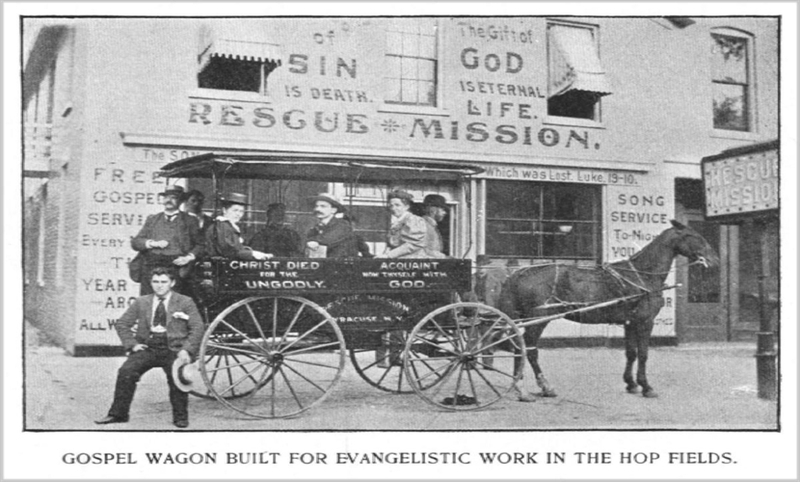 This mission was established in 1887 for the purpose of reaching classes who would not be likely to attend church and give them the blessings of the gospel. The experienced services of Mr. and Mrs. H. B. Gibbud of New York City were secured, and under their advice mission rooms were opened on Washington Street [56 East Railroad Street], near Mulberry, on Sunday evening, September 4, 1887. The work of the mission attracted public attention through its immediate success in drawing to its doors many who would otherwise have been wholly without religious instruction. This dedicated, sensitive man was born in Waterbury, Connecticut, and attended the Lay College of the Rev. Dr. T. DeWitt Talmage in Brooklyn. Converted to Christ in 1876, he became a member of the South Second Street Methodist Church. He organized street urchins into a Mission Sunday School and began preaching in the streets and on the docks. In 1880 he was a missionary in the slums of Baxter Street. By 1883 he founded the [Florence] Crittenden Mission with the generous financial backing of Charles N. Crittenden. An acquaintance, S. H. Hadley, said of Mr. Gibbud during this period that while on the Bowery, "He would go out by night, and all night long into the streets of New York working for God. He took his life in his hands. There was not a place where he was not familiar. How many times have I seen him kneeling in prayer by the side of a dying girl, telling her of Jesus! Many times have I met him, the coldest nights, with a large can of hot coffee strapped to his side... He would go among the lost ones, into rooms, hallways, cellars and serve them hot coffee. . .every hospital, every police station, every jail knew him." Some concept of the neighborhood which housed the Mission in its earliest days can be gained from the chart developed by the Missions staff for its 1892 report. Of buildings in a six-block area, 25 were respectable business establishments or homes; 14 were saloons; 24 were houses of “ill-fame,’ and 14 others combined the services of both saloon and sporting house. On one Saturday night, Mission personnel counted 2,011 persons, mostly young men, going into one bar in four hours. At another saloon, 976 men, 196 women, and 72 children went in. On one block where four houses of ill repute were located, 214 men were seen to enter during the course of an evening. Every season for 10 years past, Mr. Gibbud has arranged for Gospel services among the thousands of men and women who go to the hop gardens of Oneida and Madison Counties in New York State to gather the harvest. The evangelists travel in a wagon through the district, visiting the gardens during the day, distributing tracts and religious literature. In the evening, a Gospel service is held in some centrally situated place, sometimes in a farmhouse, sometimes in a barn or schoolhouse and occasionally at the crossroads in the open air. Mr. Gibbud, assisted by his very capable wife, Ellen, guided the early destinies of the Rescue Mission. He organized, among other things, a Worker's Training Class and a weekly Bible class, and administered the first relief work kitchens during the severely economically depressed year of 1893. The Gibbuds continued their work in Syracuse until 1896, when he was called to the faculty of Bible Normal College in Springfield, Mass. There he continued his Christian endeavors until his death on December 3, 1901…. Henry B. Gibbud literally worked himself to death. The gospel of "Spare Thyself'' had no place in his theology. For the last two years of his life he suffered from heart disease which resulted from a stroke he suffered while preaching one day at Central Baptist Church in Syracuse. Less than two hours before his death Mr. Gibbud was perfecting plans for gospel work at the Charleston Inter-State Exposition. The end came peacefully. His career serves as an example—an inspiration to good works—a call to 1,000 percent wholehearted consecration and service. The history continues in saying that “The Rescue Mission carried on its work in the Gibbud tradition.” And indeed it does so today. but you want to get one and all who are here at the close of the meeting may have one." Then we would go on with the service and people would stand for an hour to get one of those checks. They have a gospel message and will be shown to many and carried as pocket pieces. You get at more unsaved people in a day than you would get into your church in the whole year. While I cannot be sure that my quarter-size (25mm) brass shellcard is the very same check that Gibbud describes as “nickel and gilt,” mine was surely made during the relatively short time that he lived in Springfield, from 1896-1901. Thanks to the Internet and especially to the Mission he founded, my Gibbud gospel check, coming unexpectedly and sure to be read and kept, has already been good for much more than a drink. 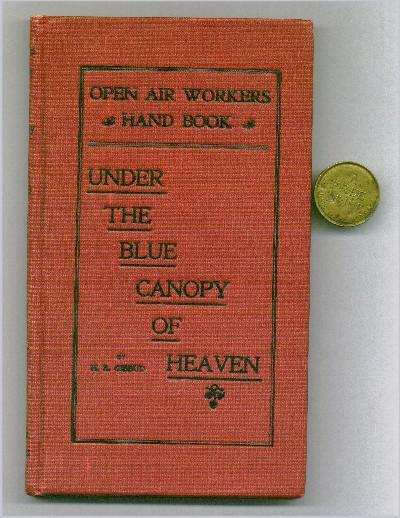 3) Under the Blue Canopy of Heaven, An Open Air Workers’ Handbook, H.B. Gibbud, The Bible Institute Colportage Association of Chicago, 1901. The foregoing article first appeared in the December 2004 edition of the TAMS Journal of the Token and Medal Society. It is copyrighted by Nicholas Martin, 2014, and reprinted with permission of the author.